I haven’t posted any original recipes on my blog yet because I don’t really consider myself to be a food blogger. I see other blogs with beautifully curated recipes that look well thought out and paired with professional quality photography. When I cook, I hardly ever follow a recipe exactly and end up making quite a few dishes that end up being an original creation. 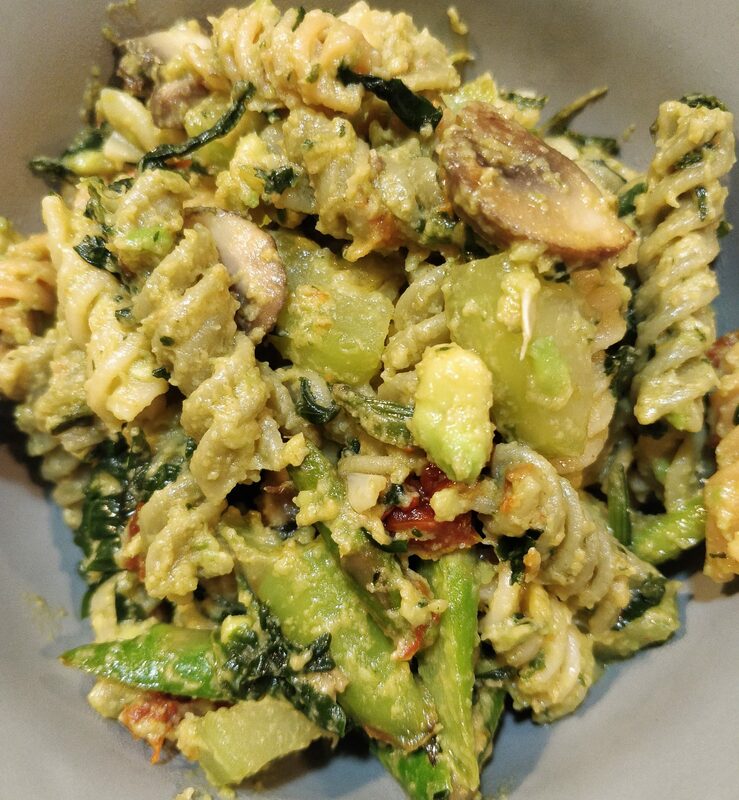 This particular pasta dish came about when I had a lot of vegetables in my fridge that I needed to use up, including ripe avocados, along with a container of hummus. 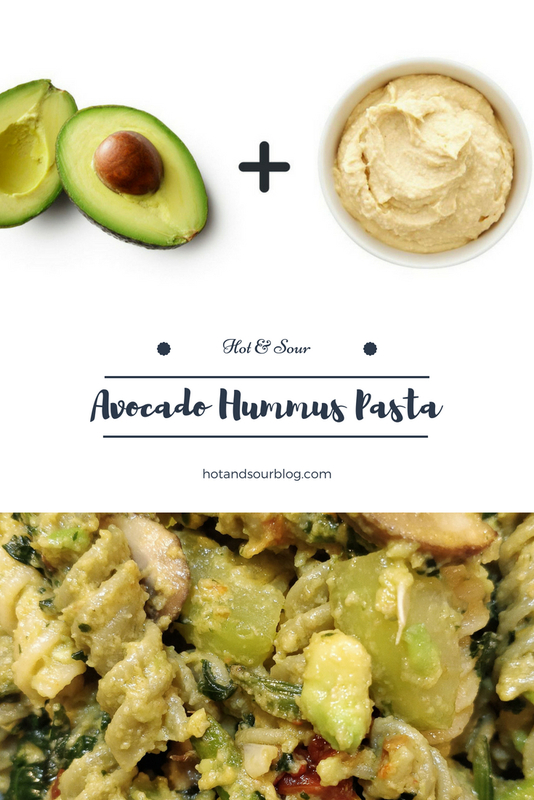 I had a feeling that the avocado and hummus would combine to form the perfect creamy sauce for a veggie pasta dish. I decided to use rotini pasta because the spirals hold on to the avocado/hummus combo better than a pasta with a smooth surface. I presented the dish to my husband apprehensively, not sure how it turned out. He loved the taste and all of the nutrients I managed to cram into this meal. I’m glad my version of clean-out-the-fridge pasta turned out to be a keeper! A 30-minute creamy vegan pasta loaded with veggies and tossed in a creamy sauce made from ripe avocados and hummus. Cook noodles according to package instructions, drain, and set aside. Add olive oil to a large saucepan. Saute minced garlic until aromatic. Add mushrooms, asparagus, cucumber, spinach, and sun-dried tomatoes. Saute until tender. 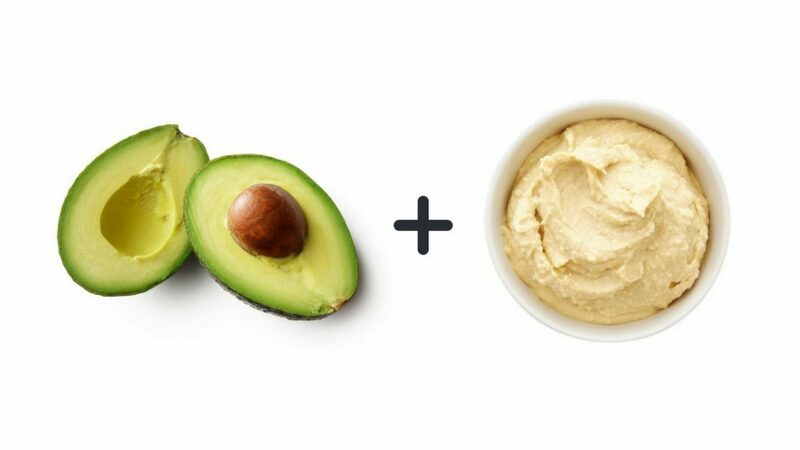 Add pasta, avocado, and hummus to the pan and mix gently. Serve warm. Store leftovers in the fridge for a few days.